Situated overlooking the stunning caldera, Villa Graceful is fully-equipped and totally exclusive holiday residence with an amazing view of the horizon and coastline. This magnificent villa blends nature and luxury seamlessly to bring you perfection in paradise. 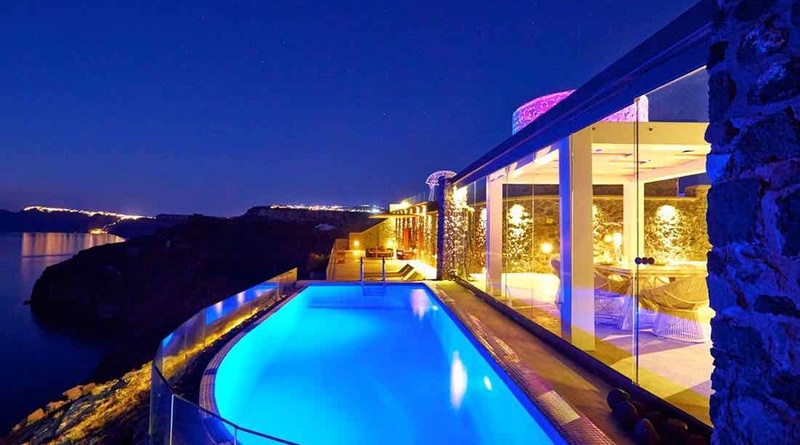 The unique property is defined by its exceptional outdoor areas, providing sensational views of the famous Caldera and the historical volcano of Santorini. Villa Graceful is built around the old stone windmill (built 200 years ago) and with respect to the traditional architecture of the island. This traditional house has been renovated to the highest standards and offers modern luxurious comforts with all the charm and legacy of a heritage property whose story stretches back into history. The unique and traditional Cycladic design of this exceptional villa allows lots of light and offers comfortable leisure options, a substantial open-plan living space and accompanying balconies. The property is fully equipped with high quality audio systems and Wi-Fi throughout the building and outdoors areas. The residence is decorated with minimal furnishings and is designed with a white decoration concept. It boasts a spacious and comfortable living room, one double bedroom and one master double en-suite bedroom with Jacuzzi and a charming private balcony. The outdoor area offers a private swimming pool with fabulous views across to the caldera and the village of Oia. Whether you want to enjoy a sunset cocktail, relax or exercise during the afternoon, Villa Graceful will provide you with an experience you’ll never forget, living the Greek island lifestyle in the comfort of your own villa by the bay. A true luxury villa holiday, offering an escape from the daily routine and giving you the complete freedom soak up the sun and make magical memories with friends and family. 1 x Double bedroom with ensuite bathroom. All above services available upon request.